Erie County is geographically located at the western portion of upstate New York, bordering on Lake Erie, which also borders Southern Ontario, Canada. Erie County includes the city of Buffalo, NY. Southern Erie County is known as the Southtowns and is home to multiple ski resorts. Unfortunately, sometimes people get pulled over by the police and get a traffic ticket. If this has happened to you call a Southern Erie County traffic lawyer for a free case evaluation. Something as simple as a running a red light ticket is worth attorney representation. The consequences of a traffic ticket range from paying fines to possible jail time. Someone that receives points on their license, can also face an automobile insurance rate increase as a result. Too many negative points can lead to the state suspending your license. The state can suspend a person’s driver’s license for receiving multiple negative points in a time span of 18 months. Why Choose a Southern Erie County traffic lawyer? Working with the John C. Nelson Law Firm will relieve you of the stress associated with getting a traffic ticket. 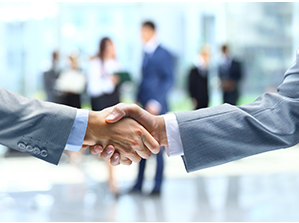 Choose an experienced law firm that focuses on traffic defense. This may be your first and only traffic violation, but we help people out with traffic related violations every day of the week. When people choose to represent themselves, they often don’t go to court prepared and don’t know what to expect until they show up. Don’t risk accumulating too many points and Keep your Driving Game Under Par. 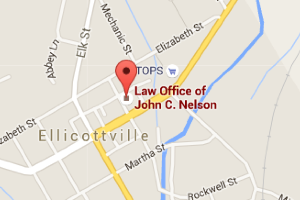 Contact Southern Erie County traffic lawyer John C. Nelson, to setup a free in person or over the phone consultation. 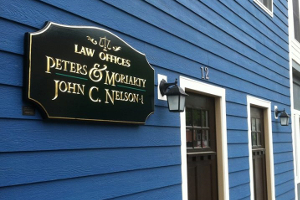 The John C. Nelson law firm is a local knowledge of the towns and communities of Southern Erie County. A traffic stop can result in negative points, jail time and expensive fines to the court. Many of the roads and highways in Southern Erie County are four-lane highways with a speed limit of 65 mph. If you’ve had to endure the embarrassment of getting pulled over by a police car then face the stress of receiving a ticket from that officer, you might want to think about legal representation. Call (716) 364-2569 to speak to a Southern Erie County traffic lawyer today!